We’d argue that anybody with a website needs site monitoring, and our latest tool is no exception. As with all of our web performance tools, we strive to make setup as quick and hassle-free as possible. Click on ‘Add Site‘ in the top right-hand corner. Don’t forget to name your site in My Pingdom, especially if you plan to have several checks later. You can implement it directly into your site or through your tag management system, like Google’s Tag Manager. If you’re implementing it directly, don’t forget to do so just before the </body> tag of your site. 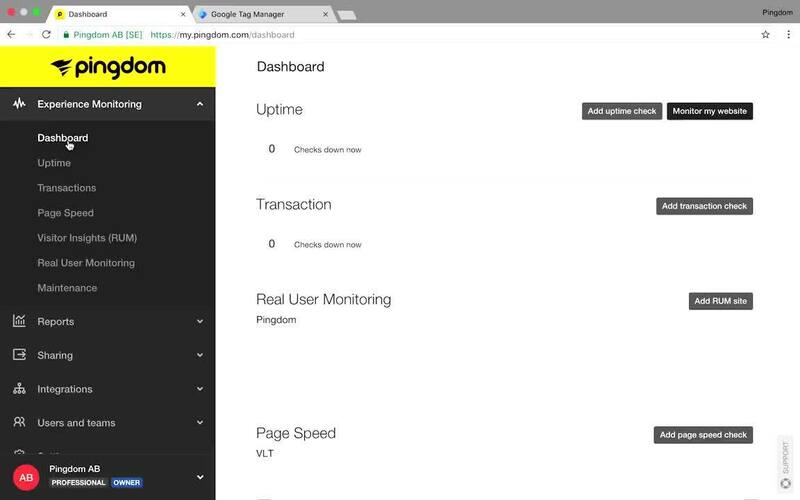 Within seconds you’ll see your site visitor data appear in your Visitor Insights dashboard in My Pingdom.